Fifteen years ago today — April 1, 1998* — a Pegasus XL originating from Vandenberg AFB carried a small satellite to study the Sun’s atmosphere. examine the three-dimensional magnetic structures which emerge through the Sun’s photosphere (the visible surface of the Sun) and define both the geometry and dynamics of the upper solar atmosphere (the transition region and corona). determine the triggers and onset of solar flares and mass ejections. The effectiveness of TRACE’s telescopic sensor was due to its sophisticated attitude control system, which combined magnetic-torquers, reaction wheels, and inertial gyros to maintain its pointing accuracy within 5 arc-seconds. 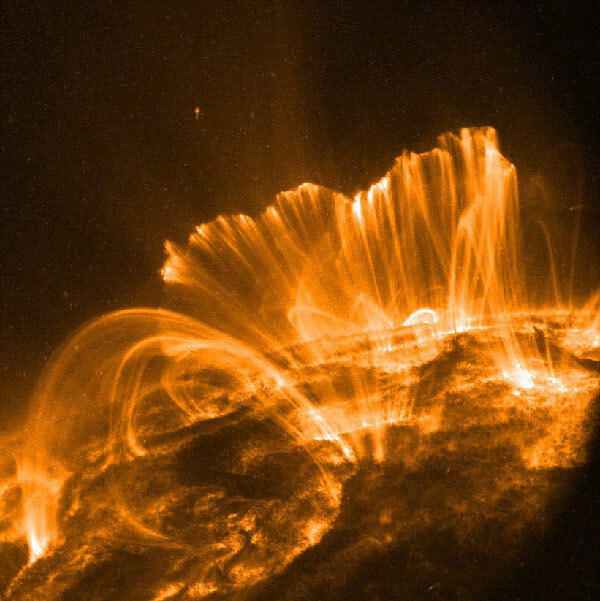 The TRACE mission lasted until June 2010, and produced some stunning images of our Sun. Tagged launch, pegasus, space history, vandenberg. Bookmark the permalink.